Lillian Rose 15″ Moss H Monogram Letter. 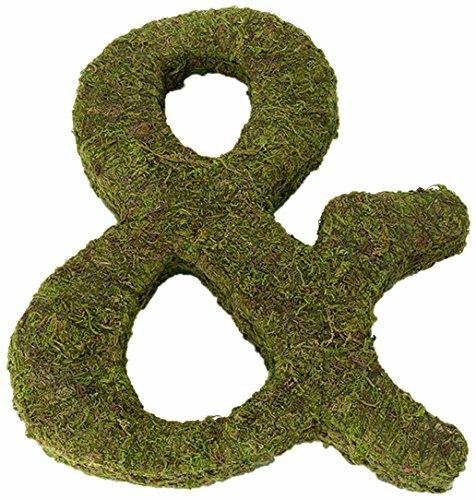 To add a nice touch to your home or wedding decor, take a look at these unique moss monogram letters. They are so enchanting and lovely that they make perfect gifts to place on a door, wall or mantle. Each letter measures 15″ tall.THE ITEM YOU WOULD RECEIVE WOULD BE THE ALPHABET MENTIONED ON THE TITLE, THE IMAGE IS JUST AN INDICATION OF THE STYLE.